Sterling and Wilson, a leading solar engineering, procurement and construction (EPC) company, said it has won a major contract from SkyPower, one of the largest developers of utility-scale solar energy projects in the world, to build solar parks in the Indian states of Madhya Pradesh and Telangana. 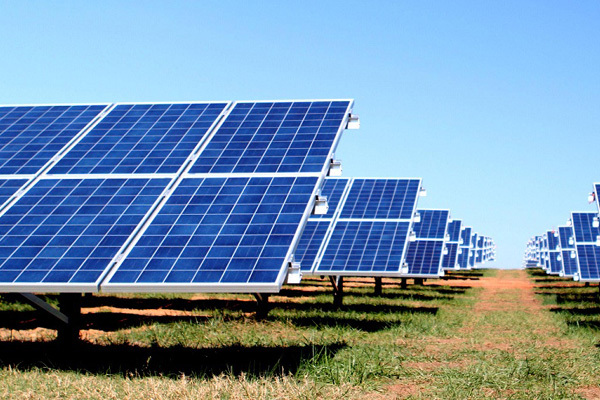 As per the deal, the Indian group will provide EPC and operation and maintenance (O&M) services for 350MW (AC) solar projects coming up in the country. The scope of work includes construction of the seven 50MW projects and a 150MW in Madhya Pradesh and 200 MW in Telangana. Sterling and Wilson has already installed nearly 1 GW of solar energy projects in India and continues to lead the industry as more than 3,500 of its highly skilled workforce build international solar operations across Southeast Asia, the Middle East, and Africa, and has already commissioned nearly 150 MW in solar farms across Africa and Southeast Asia. The company, which began its operations in 1927 as Wilson Electric Works, is a group firm of the 150 year old $2.5-billion business conglomerate - Shapoorji Pallonji Group, and is one of India's leading MEP services provider. On the deal, president and chief executive Kerry Adler, said: "SkyPower continues to lead by example and by action. The signing of these agreements is an important milestone toward the timely execution of our awarded projects and fulfillment of our commitment to generating a brighter future for India through developing clean solar power." Bikesh Ogra, the president (Solar & Electrical Division) Sterling and Wilson, said it was proud to be selected to execute SkyPower's projects in India. "SkyPower's world-class construction and O&M requirements and standards are stringent, and our selection is a testament to Sterling and Wilson's capabilities and stellar reputation in India and abroad," he added. Manu Shrivastava, the principal secretary, New and Renewable Energy Department, Government of Madhya Pradesh, said: "MP Government and MPNRED would extend all cooperation for timely execution of SkyPower projects in the state. We are extremely happy to learn of progress on the project."